Zimbabwean Government will not hesitate to arrest MDC Alliance leader Nelson Chamisa, if he proceeds to swear himself as president. This follows declaration by Chamisa over the weekend that he would convene an assembly on Saturday that would swear him in as president and proceed to announce an alternative cabinet. The MDC Alliance leader Chamisa said that his party will appoint an alternative cabinet. Chamisa told the press that said he will appoint an alternative cabinet because the MDC Alliance is an alternative government. “Alternative cabinet yes. That one yes, but I said ours is an alternative cabinet and it is allowed at law. Any serious party which is in Parliament must have an alternative cabinet. 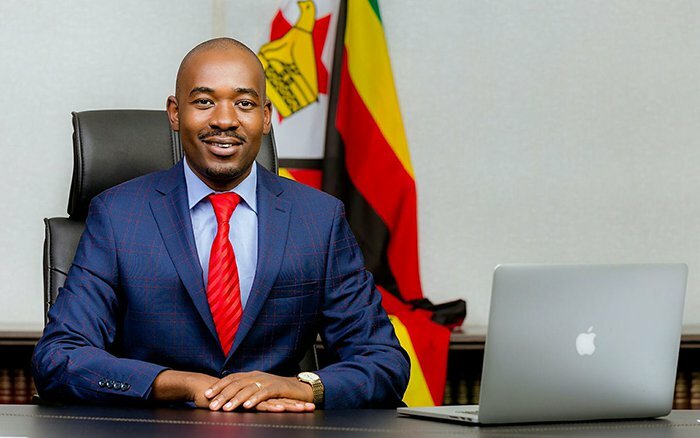 An opposition can have a shadow cabinet but ours is different because we are an alternative government”, Chamisa said. Nelson Chamisa is a Zimbabwean politician who is currently the President of a faction of the MDC-T and leader of the MDC Alliance. In August 2018 Chamisa lost the presidential election to Emmerson Mnangagwa after getting 44.3% of the vote, against Mnangagwa’s 50.8%.